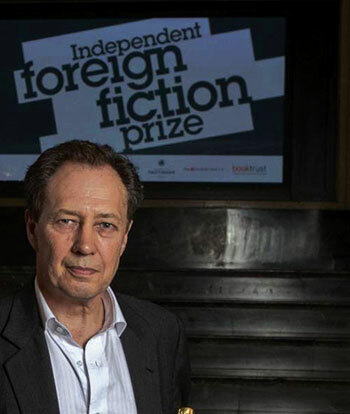 The life of this interview began when Hassan Blasim and Jonathan Wright were announced as joint winners of the 2014 Independent Foreign Fiction Prize for The Iraqi Christ. A writer and filmmaker, Blasim’s stories have come to English-speaking readers via an unusual route: self-published online in Arabic and collected in book form only upon English translation. Many of Blasim’s stories explicitly reference the conflicts of recent years in Iraq and the surrounding region, albeit in unpredictable ways. The title story concerns an Iraqi soldier who happens to be Christian, known as Chewgum Christ, whose premonitions during the Iraq–Kuwait War save the lives of many fellow soldiers, among them the narrator. Later, as a civilian, Chewgum Christ is forced to carry out a suicide bombing and meets the narrator again in the afterlife. The stories are often disturbing to read, but when do the events of war make for comfortable reading? Hassan’s IFFP co-winner, translator Jonathan Wright, has a journalist background and seems especially well suited to Blasim’s straightforward writing style. 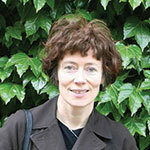 Wright studied Arabic, Turkish, and Islamic civilization at St John’s College, Oxford, before joining the Reuters news agency in 1980 as a correspondent. He was based in the Middle East for much of the last three decades. As a young journalist, he was kidnapped in Lebanon but broke out and escaped unharmed within weeks. Other works of fiction he has translated include Youssef Ziedan’s Azazeel, which won the 2009 International Prize for Arabic Fiction and the 2013 Banipal Prize, and Amjad Nasser’s Haythu la Tasqut al-Amtar, published in the UK as Land of No Rain. Lane Ashfeldt: Is the translation of news still a part of your daily work, or do you mainly translate fiction these days? Jonathan Wright: Luckily, I have the luxury of being able to concentrate almost entirely on fiction. I have done some polemical political work, and I might be working next year on a serious nonfiction intellectual work, which I will be happy to do because of its importance. But I expect fiction will remain my principal genre for some time. LA: How did you come to learn Arabic, and how long did it take to become fluent? JW: I started learning Arabic as an undergraduate on a whim. When I graduated, I could hardly speak a word, as in those days we concentrated on premodern texts. Fluency is a relative term, and I suppose I am most fluent in colloquial Egyptian, having lived there some twelve years on and off. But Arabic is very diverse, geographically, socially, and chronologically, so you never stop learning new words and phrases and usages. LA: Name some of the challenges of translating fiction. JW: The key factors are, most importantly, the clarity of the original text and, secondly, the extent to which the writer diverges from casual speech. It may sound banal, but little ambiguities (what does a particular pronoun refer to, for example, or where exactly was he standing in the room?) can really slow you down. I always ask the author lots of questions, and drafting those carefully in Arabic can be very time-consuming, too. I do a reality check with Hassan every now and then to make sure it’s as surreal as it appears to be. LA: How long did it take you to translate The Iraqi Christ? JW: It’s been a while, so I can’t be sure, but some months. Hassan writes very clearly, so it comes easily. I just have to do a reality check with him every now and then to make sure it’s as surreal as it appears to be. Every translator’s nightmare is that he will miss a reference or possible second reading and end up looking like an idiot, so you do have to check. LA: When did you first meet Hassan, and have you gotten to know each other any better thanks to the Independent Foreign Fiction Prize longlisting in 2010 and your win last year? JW: I first met Hassan when we did an event for his first book in Liverpool about four years ago. I’ve never been able to sit down with him and go through a text face-to-face because our encounters have usually come after publication, at dinners and public events. They have also been fairly brief, so I know Hassan much better through his writing than in person. LA: Tell me about how you work when you translate. What is your process? JW: I have a well-established procedure: a heavily annotated and quite rough first draft (with many alternatives, my thoughts about possible problems, and snatches of Arabic text). I don’t linger over problems at that stage because I know that time and sleep and familiarity with the text will solve most of them. The second draft gets most of them out of the way and allows me to identify the points where I need to consult the author. Ideally, it’s best to meet face-to-face, often over several days, but email works, too. The third draft incorporates all the author’s clarifications. If there’s time, I then like to leave it aside for a month or so. I think of it as a kind of maturation process, but it’s really about coming back to the text with fresh eyes. At this stage, I leave the original text behind as much as possible and just think about the English and read it aloud for rhythm and clarity. LA: Would you use, or have you ever used, Google Translate? JW: Not much, sometimes as a last resort, just in case, but it doesn’t help much. It is getting better, however. It cites “repercussions” as a sense of tada’iyyaat, which is more than most Arabic-English dictionaries do. I do use it for writing Arabic, as a kind of thesaurus but only to remind me of words I already know. LA: James Joyce is known to have met with early translators of his work and held lengthy drawing-room discussions over word choice. This may relate to his writing style, his interest in the sounds of words as well as their meaning. But possibly this approach sped things up rather than slowed them down—Iraqi poet Salah Niazi is nearing completion of his translation into Arabic of Ulysses, begun thirty years ago in 1984 to take his mind off the war news from Iraq. Have you and Hassan ever held detailed discussions over particular word choices? JW: Not so much with Hassan. When I started working with him, he was only beginning English and didn’t have a view on any word choices I made. Now he speaks English very proficiently, but it hasn’t got to the stage where he takes a position. I haven’t yet had to deal with an interventionist author. It can be quite traumatic, I hear, though it could also be quite fascinating. I guess that depends on whether the author has a realistic assessment of his own level of knowledge of the nuances of words in English. LA: In translating a work of fiction, do you consider an affinity with and respect for the work to be optional, or essential? JW: Respect is the key word here. “Respect” isn’t a word I like to bandy about, but it does seem relevant in the case of translation. If I feel that the author has thought hard about what he is writing and has gone over it carefully to ensure that it’s clear, concise, and accurate, and especially if his writing includes insights that resonate with me in a way that good writing should, then he earns my respect, and I’d be happy to translate his work. But translating sloppy or clichéd writing is not fun, and it’s much more trouble than it’s worth. LA: Have you ever written fiction yourself, and is it something that would interest you? JW: I wish. 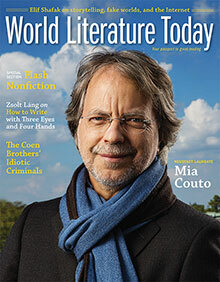 I expect many translators of literary fiction are frustrated writers of fiction. The author does all the hard work, the plot and the characters, but you get some of the satisfaction of putting it all in words that conjure up images in the minds of readers. Writing fiction requires imagination. Translating literary fiction is much less demanding on that score. LA: Finally, what are you working on next? JW: I’m working on a very long and funny Egyptian novel about a Muslim television preacher who gets caught up in affairs of state. It might be construed as a covert attack on the traditional Muslim religious establishment as well as an accurate depiction of the corrupt nexus of power in the last years of Mubarak. It’s taking me months and months. 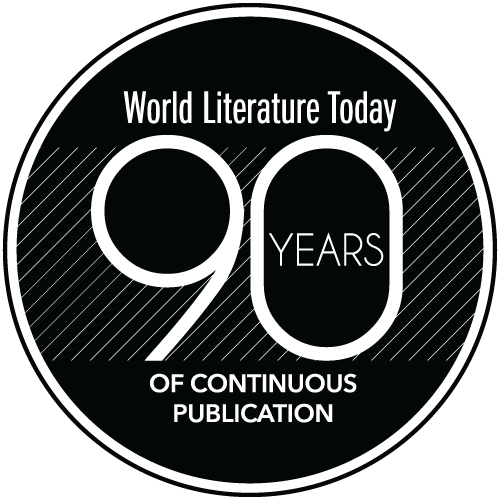 Editorial note: Ashfeldt’s interview of Blasim appears in the January 2015 print edition of WLT. Lane Ashfeldt is the author of SaltWater (2014), a book of short fiction inspired by the sea. Her story “SaltWater” appeared in London Magazine.